When we see the trailer for a superhero movie, even if it's about a superhero we don't really know much about, or care much about, for that matter (refer to title), we generally get excited, expecting a film of epic proportions with cool cape-fluttering movements in the air, melodramatic (slightly, not much) dialogues aimed at people less worthy and a hot girl with a two-dimensional character. As I myself watched the trailer, that's exactly how I felt, and after Black Swan, I expected Natalie Portman to embrace more praise-worthy roles, so I thought, hey, this might be worth a watch. Granted, typical Hollywood is expected, but to such an enormous extent, was not a thought gleaned from the trailer. From the poorly delivered speech of the Australian hotbod jock Chris Hemsworth to the pointless admiration for the aforementioned bad boy of Jane Foster (the 'intelligent' character portrayed by Natalie Portman who has a 'degree' in 'astrophysics'), the movie reeks of a teenage high school drama with a few aliens with power heroes thrown in. Oh, wait, I must be neutral. Synopsis: this is the story of Thor, the mighty mighty MIGHTY prince of Asgard who is about to succeed to the throne of his father, Odin, the even MIGHTIER king (played by the guy who wanted to eat Jodie Foster's face), as his brother with the eyeliner twitches his face to make his envy obvious to the people who are enjoying the film. This is at the beginning of the movie, so you know that nothing at ALL is about to go wrong. The king is about to imitate Queen Elizabeth II and do the whole succeeding-the-throne shebang (oh, the suspense is killing me), when these villainous creatures, who were once in some sort of war with Odin but eventually reached some kind of truce and now live in Pluto (or some other cold planet) without blankets, come to steal the “The Casket” which will return them to their full power. They fail, initially, and Russell Crowe's second cousin thrice removed now wants his dad to attack them and finish them once and for all. Oh, poor, vain, innocent Thor! 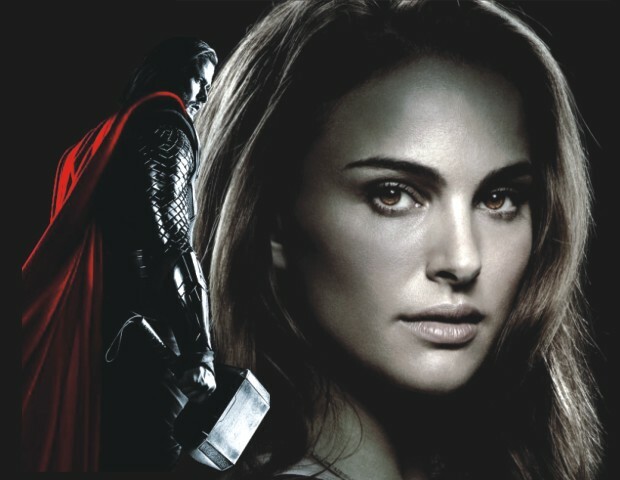 Eventually, after some stupid decision to voyage into the world without blankets, he gets banished to Earth (the Asgard for high school) where Natalie Portman starts to drool over this demigod. Some other things which follow which contribute to the 'storyline'. To professionally conclude: bad acting, exaggerated testosterone-induced dialogues, oestrogen-soaked panting and a Barty Couch Jr. look alike contribute to a wholesome Hollywood movie which has nothing to offer. Rotten Tomatoes initially had a 94% approval rating but as I now recheck the statistics, it has dropped down to a cool undeserved 78%. Subjective as it is, I leave the judgment for the individual movie-watcher to implement. Or maybe The Dark Knight has just spoiled me. Often touted as one of the most successful albums of all time, not to mention one of the best album covers to date, Nirvana's Nevermind was the start of the new chapter of Kurt Cobain's life, in which he finally gives in to the corporate music machine. A more refined sound, moving away from the random out of tune grunge of their yesteryears, Nevermind would eventually, and ironically, come to define what Nirvana stood for in more ways than one. 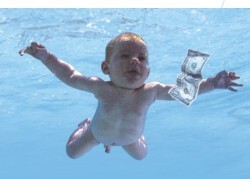 The album cover depicted three month old Spencer Elden at an infant swimming pool, captured by Kirk Weddle, swimming towards a dollar on a hook and line, symbolising the rampant commercialisation of even the most innocent of beings. One of the Fab Four's must hear albums, the 1967 album goes head to head with 1969's Abbey Road, both in terms of best album and best album cover from The Beatles. Sgt. Pepper edges out in the end, with the Fab Four donning military style uniforms, surrounded by life size cardboard cutouts of their heroes and inspirations for the cover shot. Bob Dylan, Karlheinz Stockhausen, Aleister Crowley, Oliver and Hardy, all were featured. Lennon apparently wanted to include Hitler and Jesus Christ, but the record company said no. The magnum opus album from the kings of psychedelic rock bore the most famous Pink Floyd imagery to ever grace an album: the prism. The rectangular prism separating white light into the colours of the rainbow against a stark black background represented Floyd's brand of psychedelic perfectly, and made them even more famous. Pink Floyd T-Shirts were never boring again, and prisms were not just for Physics nerds anymore. Elvis Aaron Presley, the King of Rock and Roll, was so full of himself that he named an album about how popular he was. He had every right to, in fact. The album collects some of his greatest hits to that date, and as such, needed a bit of flash to keep his 50,000,000 coming back for more. The cover depicts a number of Elvis' wearing stylish gold jackets and his signature “foot apart” stance. The magnificent Elvis hair is clearly visible too, in case anyone was in doubt that this, in fact, was the real Elvis, not some two bit impersonator. Iron Maiden should undoubtedly be crowned a royal of the heavy metal family. With 1985's Powerslave, Maiden continued the use of Eddie the Undead rocker (designed by Derek Riggs) that has since appeared on every single Iron Maiden cover in one form or the other. In Powerslave, Eddie is a giant Egyptian pharaoh statue towering over a nation of slaves and guarding the entrance to a sinister tomb. Powerful imagery, indeed. One of the few recent entries in this list, Demon Days was the second album by virtual band Gorillaz to feature the stylised band members drawn by iconic British graphic designer Jamie Hewlett. 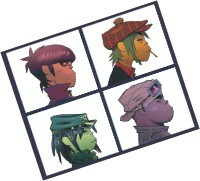 Taking inspiration from Rock and Roll's greatest four-some, The Beatles, the cover image features the four Gorillaz virtual members in a similar layout to The Beatles' Let It Be album. By the time Ice Cube's 1991 album released, rap music was slowly moving away from speaking up against social injustice and concentrating more on how much money and bling the rap masters had. Ice Cube bucked the trend with his heady East Coast sound and hard hitting lyrics. The cover had to be hard hitting too, and featured Ice Cube giving respect and standing over a dead body in a morgue, with a tag on the body saying “Uncle Sam”. However ridiculed he may be nowadays; Kanye's debut album was a clear masterpiece of modern hip-hop. His choice of album cover was a smart one too, moving away from featuring a posse, bling, expensive rides or scantily clad women, instead going for a Japanese cyber punk theme. Takeshi Murakami designed the album with a mixture of cartoonish innocence and bright splashes of colour, while the teddy bear being ejected from a monster's mouth signifies “graduation”. I end with one of the most iconic album and album cover to come from the most iconic band of all time: Led Zeppelin's 1969 debut album. The debut piece featured the now famous burning Zeppelin, the image taken from the Hindenburg airship explosion in 1937. The explosive cover and the explosive sound of early Led Zeppelin made them famous beyond time and age. While we are waiting on our more serious gamers to go through some of the fresh games on the market, we thought we'd bring you something that's not very recent, yet quite a bit of fun, if you are not interested in intricate plots and want something purely action-based. 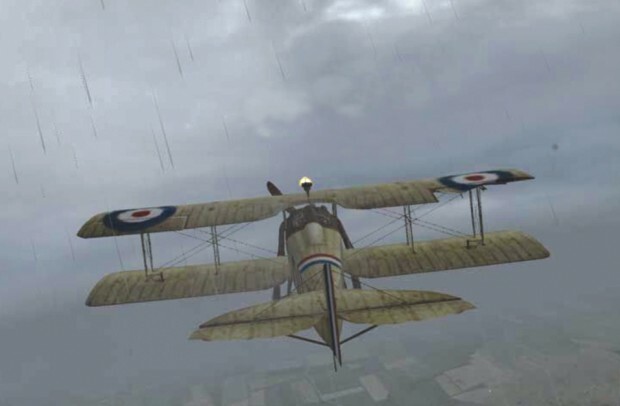 Wings of War is your average battle flight simulator with an arcade style gameplay, released by Silver Wish Games in 2004. Yes, it is that old. Set in WWI era Europe, you play the role of a rookie RAF pilot as he goes through the war, gradually building experience and claiming the title of an ace. You start off in flight school where you can pick up the basics of the game, which are very simple. The planes look pretty realistic and the option of varied camera angles, which include a cockpit view and a vantage point where the erratic movement of the planes of that era are clearly visible, make it look even more so. But despite that, the flight model is very loose so you'll rarely end up crashing your plane after taking a stiff dive. There is some suspension of disbelief as your planes never stall and you switch planes by jumping from one to the other. The levels get progressively harder as the terrains get tougher to manage. 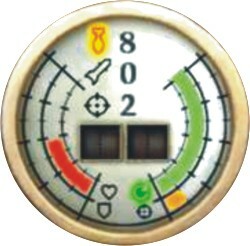 There is almost no downtime between the levels and the story is confined to the briefing room, where you receive your instruction from a voiceover while the level loads. We say it is a story, but really it isn't. The only connecting line between the whole game and the 12 large campaign missions is your rivalry with a German ace called Max. The gameplay can become a little boring as the time goes on as the AI keeps throwing horde after horde of Luftwaffe towards you, while you attempt to complete the loosely strung bunch of objectives. They do however let you man machine guns on bombers, recon planes and even on armoured trains. But the principles are same everywhere: shoot the enemy down. However, if things get a little too hot in the saddle, feel free to take a dive, fly close to the deck and roam through the expansive countryside. The graphics are quite good and just like the planes, the terrain is beautifully rendered along with the weather. Stare at all the little artillery posts beside the trenches as you blow up ammunition stores looking for power ups. Yes, that's the arcade bit, as well as the fact that you collect points based on the number of enemies you shoot down. There are also bonus levels strewn about. Winning a race against Max can be quite tough. There are some historical inconsistencies such as the development of rockets, but that will not take away the fun of flying head on at an enemy aircraft and blasting it from your path. Don't forget to come about to watch the pilot deploy parachutes, which, if you are feeling particularly vicious, you can shoot down. The sound can be described as okay at best. The random repeating lines from your wingmen become tiresome after a while, though. There are some glitches in the game. For example, if you replay a level, your medals get all messed up. And trust us when we say this, you will replay the game on boring afternoons and start playing the game all over again. Because that's how arcade games are: they are addictive.